Many of America’s remaining public wildlands are rapidly disappearing. 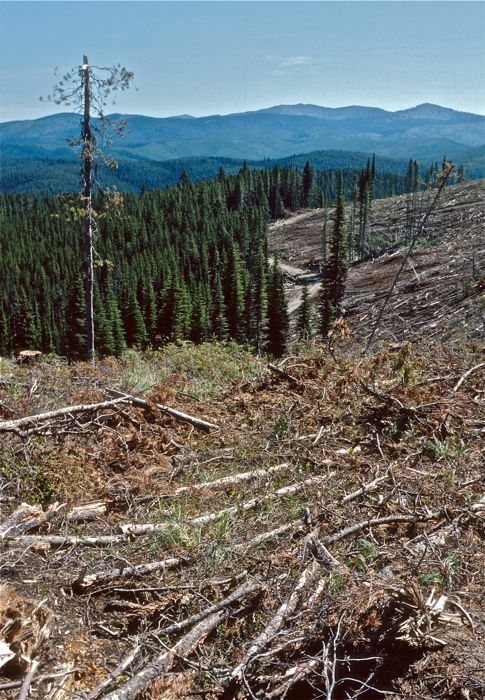 Logging, road building, off-road vehicles, mining, oil/ gas production, livestock grazing, resort development, subdivisions and more are squeezing our wildlands and wildlife into increasingly small enclaves. Though our trips are generally within protected areas, Big Wild Adventures actively works to conserve unprotected wildlands and restore the American Wilderness. Our guides are well versed in wildland conservation, and they are happy to share this information with our groups. Big Wild Adventures is rare in the outdoor adventure industry in that few, if any, other companies are owned by folks with as much experience in wildland conservation as Howie Wolke and Marilyn Olsen. Click here for Big Wild staff bios. In addition to the conservation efforts of the Big Wild staff, it is also the policy of Big Wild Adventures to support the efforts of other individuals and groups that work to protect the natural environment. We focus primarily upon efforts to protect public lands through new Wilderness designations and other appropriate mechanisms, and through efforts to make certain that designated Wilderness and other protected lands are managed to remain wild, as required by the Wilderness Act and other environmental laws. Much of the work we do, mostly during our “offseason”, is done under the banner of our sister organization, Big Wild Advocates, which is also run by Howie and Marilyn. We also make membership and other contributions to a variety of regional and national conservation organizations. Our work includes production and dissemination of educational materials, letters and hearing testimony, public talks and presentations, analysis of policy papers, some political lobbying and much more. Howie is also the past President of Wilderness Watch, the only national conservation group that focuses upon efforts to keep designated Wilderness wild, natural and untrammeled. BIG WILD ADVOCATES: 222 Tom Miner Creek Road, Emigrant, MT 59027; Howie and Marilyn’s support organization for regional and national wilderness and wildland education, protection and restoration. Regional/National. WILDERNESS WATCH: Box 9175, Missoula, MT 59807, www.wildernesswatch.org; Unique niche to keep existing Wilderness areas wild, primarily by legal and educational actions to enforce e Wilderness Act. National. FRIENDS OF THE BITTERROOT: Box 442, Hamilton, MT 59840; National forest and roadless area protection plus other conservation issues in western Montana. Regional/Local. FRIENDS OF THE CLEARWATER: Box 9241, Moscow, ID 83843, www.friendsoftheclearwater.org; Defender of endangered wildlands of central and northern Idaho. Regional/Local. CENTRAL MONTANA WILDLANDS ASSOCIATION: 105 Carroll Trail, Lewistown, MT 59457; Small outfit works to save and restore prairie and mountain wilds on the high plains of central & eastern Montana. Regional/Local. NEW MEXICO WILDERNESS ALLIANCE: Box 25464, Albuquerque, NM 87125, www.nmwild.org; Working to protect remaining public wildlands of New Mexico as Wilderness areas. State. REPUBLICANS FOR ENVIRONMENTAL PROTECTION: Box 7073, Deerfield, IL 60015; Works for general environmental protection and to improve the GOP’s environmental policies. National. CENTER FOR BIOLOGICAL DIVERSITY: Box 710, Tucson, AZ 85702, www.biologicaldiversity.org; Legal defense of western wildlands and wildlife, particularly regarding endangered species listings. National. WYOMING WILDERNESS ASSOCIATION: Box 6588, Sheridan, WY 82801, www.wildwyo.org; Works to protect as designated Wilderness the remaining public land roadless areas of Wyoming. State. WESTERN WATERSHED PROJECT: www.westernwatersheds.org; Works to reduce and eliminate livestock grazing from public lands, and to protect endangered species. Regional (West). ALLIANCE FOR THE WILD ROCKIES: Box 505, Helena, MT 59624, www.wildrockiesalliance.org; Works to protect public land and endangered species habitats in the northern Rockies of the U.S. Regional. GREAT OLD BROADS FOR WILDERNESS: Box 2924, Durango, CO 81302, www.greatoldbroads.org; These old gals lobby, sue, educate, advocate and generally beat the drum for wilderness. Western. MONTANANS FOR GALLATIN WILDERNESS: Box 5086, Bozeman, MT 59717, www.gallatinwilderness.org; To secure Wilderness designation for the Gallatin Range. A small non-membership ad-hoc group founded by Howie & Marilyn. Local. SWAN VIEW COALITION: 3165 Foothill Rd. Kalispel, MT 59901; www.swanview.org; to protect public lands in NW Montana from overzealous logging and to promote wilderness designations in the Northern Rockies. MONTANA ENVIRONMENTAL INFORMATION CENTER: Box 1184, Helena MT 59624, www.meic.org; works for clean energy, air and water, and in general for good environmental policies in Big Sky country. We at Big Wild believe that conservation, and indeed all efforts to protect the environment, are fundamentally a non-partisan issue. No political party should be able to claim the environment as “their” issue, because we all breathe the air, drink the water, and depend upon a healthy planet! In other words, we believe that humans of all political beliefs have a strong interest in protecting the environment. This includes the Republican Party, which has a long history of including strong conservationists within its ranks, such as Lincoln, Grant, Teddy Roosevelt, Nelson Rockefeller and others. By the same token, plenty of Democrats continue to line up on the anti-environmental side of public policy. We also believe in old-fashioned work to educate and organize concerned citizens, in order to pressure politicians into doing the right thing. Unlike many groups nowadays who begin a campaign by collaborating with opponents and presenting politicians with the resulting compromise, the above listed organizations are no-nonsense groups that organize, educate, advocate, lobby and litigate. They compromise when other avenues have been exhausted and a reasonably good deal for the land emerges, but not simply for political expediency. Despite claims of “win-win” solutions by politicians and the news media, too often the landscape is a big loser in many “collaborative” deals. For this reason we do not support groups such as the Montana Wilderness Association, Greater Yellowstone Coalition and the Idaho Conservation League. We have also avoided listing some of the bigger, well-known national groups such as the Sierra Club and the Natural Resources Defense Council, even though we think that they often do very good work. However, they do not need your financial support as much as many smaller outfits do. That’s why our list is biased toward the smaller, leaner organizations. Should you choose to join or to make a contribution, we know that your hard-earned dollars will go straight to the fight! Gallatin Range Wilderness Campaign: We co-founded “Montanans for Gallatin Wilderness” and are working through lobbying, letter-writing, op-eds, public presentations and other mechanisms to secure Congressional Wilderness designation for the Gallatin Range, which is partly within Yellowstone National Park and partly within the Gallatin National Forest, just to the north. Wilderness Stewardship: Most of this work is coordinated with Wilderness Watch, and we write papers, analyze agency draft documents, and work to educate the public and other conservationists about the numerous damaging and incongruous activities that are too often allowed in designated Wilderness areas. Howie’s board of directors work for Wilderness Watch is closely related to this project. Northern Rockies Ecosystem Protection Act (NREPA): We helped write it, we’ve helped to amend it, and we have worked to advance it through Congress for over 20 years. It was nearly voted on by the U.S. House of Representatives, prior to the 2010 election. 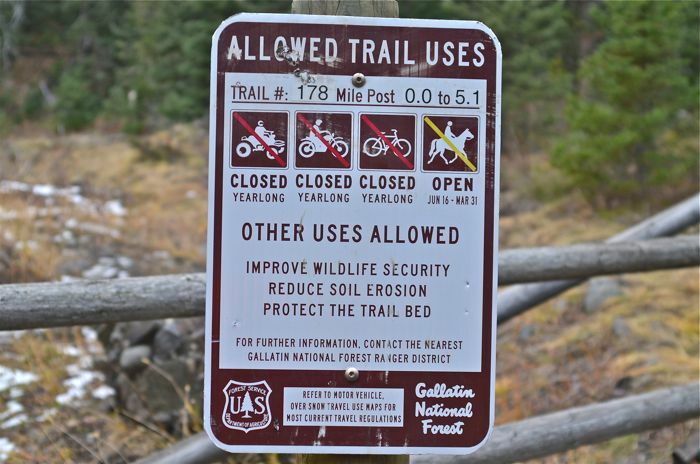 Roadless Area Defense: An ongoing project to keep public land roadless areas wild, and ultimately, to gain Wilderness designation for many of these lands. Overpopulation: Unlike most outfits, we don’t shy away from our planet’s most fundamental problem! Howie recently wrote a controversial piece, “Wilderness and Overpopulation” for the Wilderness Watch website blog. Yellowstone Wilderness: Associated with our Gallatin Wilderness campaign, we also promote Wilderness designation for the rest of the incomparable Yellowstone backcountry. Howie and Marilyn were primarily responsible for getting the backcountry of Yellowstone, Grand Teton and Glacier National Parks added to NREPA. Public Speaking: Howie is a well-known public speaker about wilderness, and he has addressed many colleges and university audiences, churches, civic groups and environmental gatherings. He is most at home, however, in areas such as the Absaroka Range alpine tundra, shown below in 2016.